Thanksgiving Dessert Pecan Pie Bars - GetCooking! Just a Taste’s – Thanksgiving Dessert Pecan Pie Bars recipe. Quicker and easier than its traditional counterpart, but just as satisfying. We’d love to hear your feedback on this video recipe format in the comments section below! 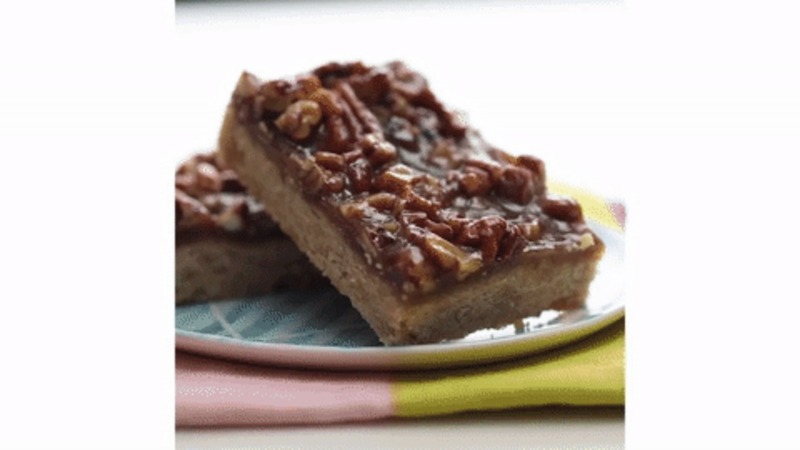 If you used this video to make Thanksgiving Dessert Pecan Pie Bars, please tell us how it went! View the original recipe notes here: Just a Taste’s – Thanksgiving Dessert Pecan Pie Bars.